The weather is beautiful in NYC today! Take a moment when you can (or even when it’s so busy you feel like you can’t) to ask your kids these three questions. They’ll help you connect to the beauty around you, and to each other. So power down those screens, and encourage your kids (littles and bigs) to look up, down, and around. They’ll discover the beauty, the simplicity, and the power of the natural world around them. And you are very likely to be reminded of the beauty, simplicity, and power of the children you are raising. It’s all about those small moments that matter, friends, as we head into Earth Day, and EVERY DAY. 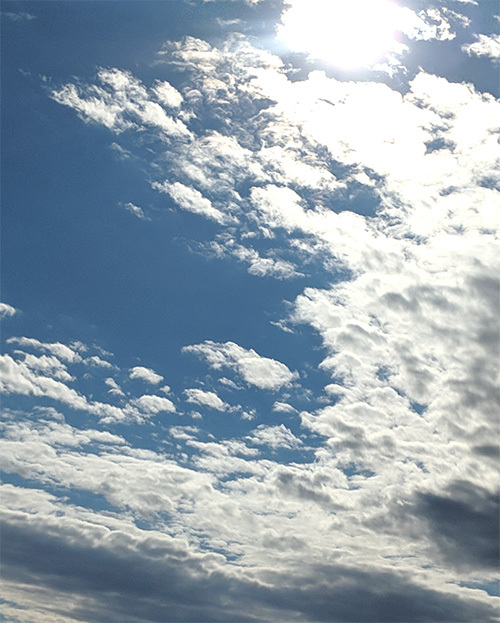 Look Up - What shapes do you see in the clouds? Before you know it, your kids will be scanning the sky for characters to add to their tales. And you will be joining right along with them. Suddenly, the walk home from school, or the trip to run errands won’t have you feeling so sluggish. You, and your kids start to feel energized by the stories you are creating, the world you are discovering, and the nature all around you that provides an endless source of inspiration. Look Down - How many sprouts do you see? Have no fear, city moms, this question is just as much for you as it is for our friends in the suburbs and out in the country. Get your kids to look down at the base of trees as they’re walking along the sidewalk. Ask them to peek in people’s front yards (no matter how small), and even the cracks in the concrete. How many sprouts can your kids see? Are some of them crocus plants, are others grass? Have them guess what is growing, how big it will get, what color it will be. Let their imaginations run wild! Is that little weed you see growing between the sidewalk cracks going to grow up to be a tree? If it did, and we climbed it, where would it go, what would we find? How many birds would call it their home? With a mix of imagination play and nature learning, you will be amazed by how much creativity and joy you awaken - for your kids and for you! Look Around - How does this street look different today than it did yesterday? 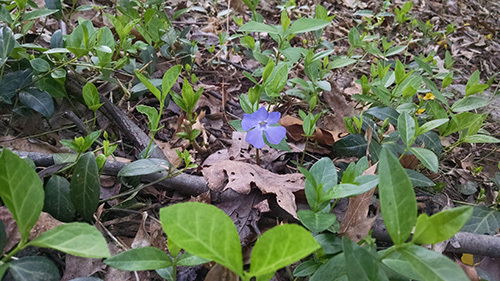 The world around us is always changing, especially during springtime. Try to catch as many of those moments as you can by taking stock of the space around you and recognizing all the little changes that happen in such a short time. This exercise is a great way to get conversations going with your kids, and to challenge them, and you, to really LOOK at everything around you. 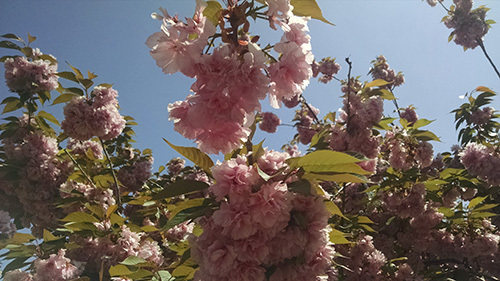 At first, you may not notice that there are more blooms on the tree, or that the petals are starting to give way to summer style leaves, or that the buds have started to turn into flowers. But when you ask about it, and start to look for changes, and talk about what you see, you and your children will realize everything that happens in a day, and just how lucky we are to be able to experience it. And that, friends, is a moment that matters. Spring is almost here, in spite of the chill in the air here in NYC. So we’re sharing a new approach to Spring Cleaning, tailored for busy moms like us. This spring, we’re finding ways of celebrating the every day, because “every moment matters” is more than how we describe our work, it is how we live our lives. Stop asking "how was your day"
Avoid this question if you really want answers! To really connect with your kids, and to get the conversation going, try some of our tips from the start of the school year. Are these strategies working for you? What are you doing to start quality conversations with your kids? And how are you finding the time? You don’t have to be Mary Poppins to create special moments for your kids. And you don’t have to plan elaborate vacations or custom play spaces to enjoy some time together. In fact, even small interactions like cooking a meal together, sitting around the table (it doesn’t have to be a holiday! ), watching their favorite TV show with them, or listening to them describe something that they love - a hobby, sport, art project or video game) - can go a long way. Remember the advice they give on planes to put on your oxygen mask before assisting others when things get hectic. Long Island mom Lauren Grinman shares how her Portraits that Move experience changed the way she looks at everyday moments with her children. We love working with Lauren’s beautiful, energetic, adorable family and are so glad she is sharing her Signature Portrait story with us today. What were your expectations for the Portraits that Move film shoot? How did the experience compare to your expectations? I couldn't wait to see how this type of video would be created. In watching a few of them previous to doing ours, I was intrigued by how relaxed and natural all of the families were in their videos. The experience of making it was just that. The way they filmed us and interviewed the kids was so comfortable. Susannah and her team also have very warm and charismatic personalities which immediately put us and our children at ease. We all truly enjoyed the process so much. After watching the video, what struck you the most? I was awed by how beautifully edited the video was. They had gotten a lot of footage I am sure, but they were so able to pick up the most beautiful actions and words of our children. Like our son taking steps after he had just started walking, or his expression while spinning a helicopter… they truly captured the essence of our children at each of their special ages. The way they also captured our sons playing, not just the interviews, was so beautiful to watch. 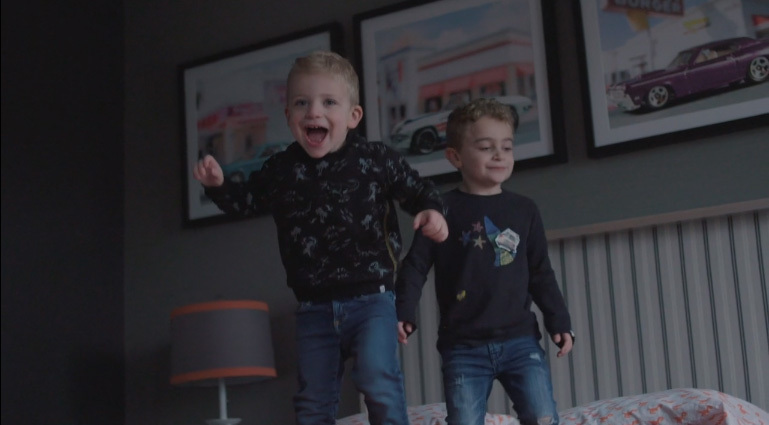 Seeing the joy on their faces as they jumped on the bed together, or ran through the hallway, simple things that you don't always get to slow down and appreciate their expressions. Has the experience of filming and watching your Portraits that Move video affected how you look at everyday moments or how you think about celebrating or honoring the passage of time? It has affected me, a room with toys scattered on the floor, or a thousand crayons on the floor as they draw. I have tried to slow down and watch them almost imagining it was part of one of the videos. It has helped me appreciate the moment more, rather than thinking about cleaning up, and moving onto the next part of our day. I am enjoying each stage they are at more. What is your favorite part of your Portraits that Move film? How beautifully they captured the true essence of our family. Each personality of our children truly shined bright in the films we have created. These films are such gems to us now. Preserving the voices, smiles, and sweetness of each age of our children. Learn more about the Signature Portrait from Portraits that Move. We couldn’t be happier to hear this! 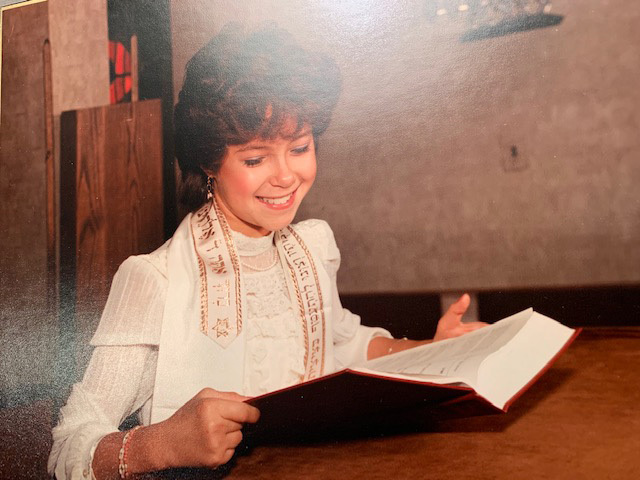 We chatted with Stacey about the Mitzvah Montage process, and what the experience was like for her an her family. Here’s what she had to say. What were your expectations for the Mitzvah Montage creation process? How did the experience compare to your expectations? I was amazed at how easy the process with Susannah was. The hardest part was culling down photos and getting my 13 year old to agree to which photos we were ‘allowed’ to use! In one 45 minute call, Susannah engaged me and my daughter, asked her thoughtful questions and started to frame an approach to the video. We were able to complete the process after two reviews, during which Susannah was supportive and had great suggestions. The second and final version took our suggestions and made them even better. Her editor is fantastic. After watching the montage, what struck you the most? In 5 minutes, Susannah encapsulated the joy that our daughter has within her and that joy that she shares with her family and friends. She was able to take my daughter’s choice of music and made it flow and really align to the moment in the photos. What was the reaction at the Mitzvah celebration? The video was the perfect length. There was laughter, lots of oohs and aahs, and many tears. A perfect reaction! Have people shared the montage since the event? It is wonderful to have the link to share. We did not share it broadly, but sent to family after the bat mitzvah. It allowed them to savor the moments that they may have missed in a large event space and made it a more intimate experience. I’m sure the Grandmas have watched it over and over! 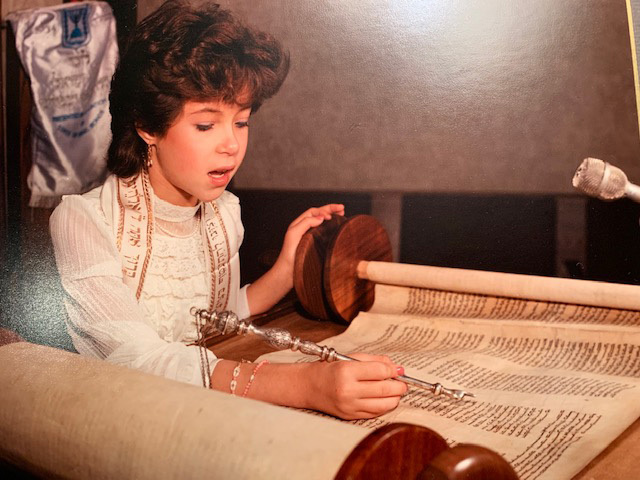 To plan your Mitzvah Montage, contact us. 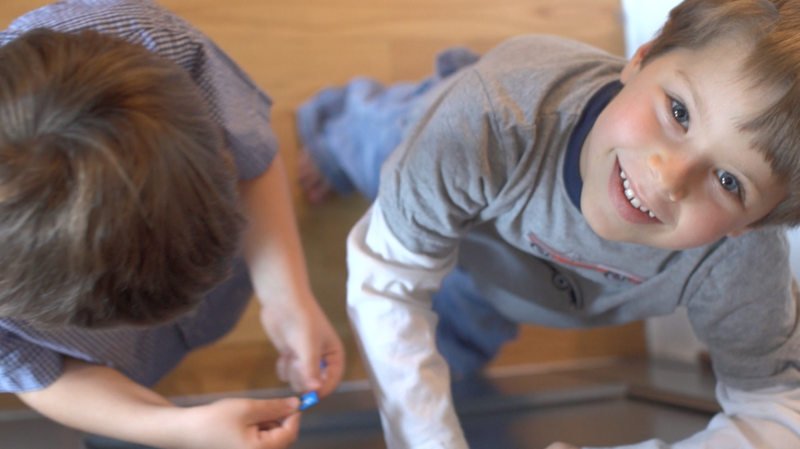 A few weeks ago we got to make a Signature Portrait Film for a Philadelphia family. After she received her video, we connected with mom Elisa to talk about what the Portraits that Move filmmaking process was like and what she thought about her video - including what surprised her most. I knew, based on the extraordinary qualifications of the filmmakers, that the shoot would be smooth and the final product beautiful. But I didn't realize how fun the process would be for our family. My son loved answering the interview questions and we learned some things about him that we never knew. They allowed him to play and show them the activities he loves, so he got to lead the way in many respects, which was empowering for him. The team was respectful, easy to work with and made the whole day a pleasant experience. I was struck by just how, even in the few weeks since shooting, my son had grown and changed, which made it all the more valuable to have this document of him that goes much deeper than an impromptu phone movie. Parenting is a state of constant change and you often wish you could stop time—Portraits that Move allows you to do that. Did anything in the video/any reaction you had to watching the video surprise you? It was like watching our home and family from our son's perspective which was very moving and sweet. Has the experience of filming and watching your Portraits that Move video affected how you look at everyday moments? 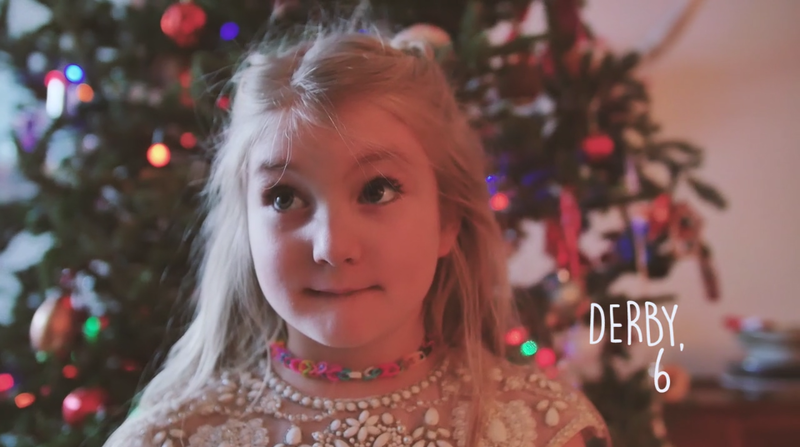 Yes—I think most families would be thrilled to have a video like this, which captures the personality of your child and the aspects that make your family unique. Teaching kids gratitude during the holiday season can be a challenge. Sometimes it feels like we spend all of our energy on creating memorable holiday experiences, decorating things just-so, and finding the right gift (a few times over) for our favorite people. Then, as the season draws to a close, we realize that there is a lot of giving but not a lot of gratitude. But it’s about more than gifts. As parents, we don’t need our kids to bend over backwards telling us how grateful they are for the things we give them. What we really want - the reason we jump headlong into the holiday craziness and wait on hours-long lines - is to make memories that our children will cherish. To start and continue traditions that make them happy, that remind them, and us, of how grateful we are to have each other. We’ve gathered a few of our favorite posts to help you teach your kids about gratitude this season, and to keep the grateful vibes well into the new year. I try to use gratitude in my home as a regular on-going conversation with my son. When we focus on gratitude, it can create good feeling and closeness. Sometimes I will ask my son during dinner what happened in his day that made him feel grateful. Other times as I am tucking him into bed, I will tell him the 5 things about my day that I am grateful for and ask him about his. Customize this game for your table. Take turns going clockwise around the table (or starting youngest to oldest). The first person who is “it” says “I’m grateful for something that begins with the letter A.” Each person around the table guesses what that is based on hints. Rather than list out resolutions, ways we want to be different, things we want to change about ourselves or our circumstances, we are choosing to focus on intention. All of us at Portraits that Move are committing to living and working and observing with intention. How are you practicing gratitude with your kids during the holiday season? Share with us on Facebook! We are so excited to share our first ever Portraits that Move Holiday Gift Guide! To celebrate the season, we have put together a list of gifts that reflect the beauty and joy of documenting family life and the small moments that make it so special. We are featuring these products because we love how they connect with what is important to us and we think that you will, too. None of these products have paid for placement on our site, and we do not receive any compensation for linking to third party products. Created by Knoxville, Tennessee based artist Whitney Biggs, this letter book set gives children and grandparents the chance to connect with each other through storytelling. Using storytelling to connect across generations is something we love! It’s part of what inspired us to create our Generations Videos, and it is just the kind of thing that keeps the magic of the holidays going well beyond the end of the season. 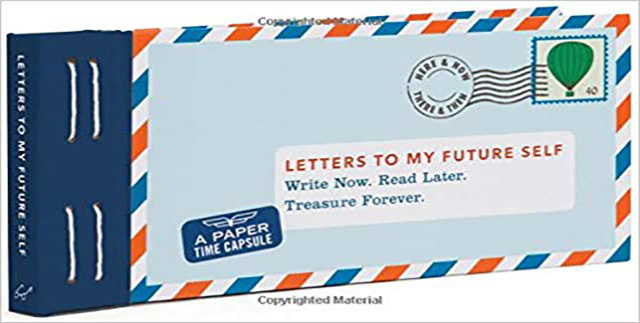 Document your own story through letter writing with the Letters to My Future Self kit. 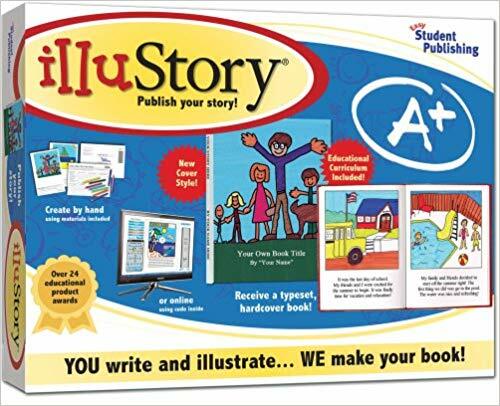 This is a wonderful gift for a friend or family member who loves to write, to document, and to build their own story. 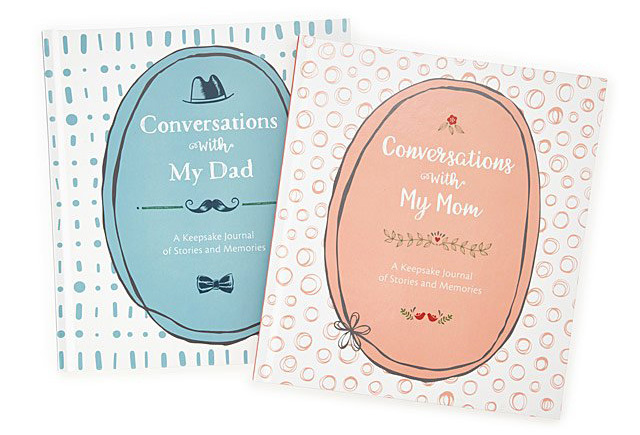 These lovely books are a perfect place for your family to write down the conversations that make up the history of our lives. We are huge believers in the power of conversation, especially conversations with kids, in documenting family life and preserving our memories for ourselves and for future generations. Give your loved ones a totally unique gift, in the style of Roy Lichtenstein pop art from MyDaVinci. Submit your photo and they create a pop art version of the image for display in your home. You can choose from a variety of size and framing options, and you can even add a talk bubble! Give kids the chance to tell their story in their own words inside a book they design and create themselves. This is a gift many times over, from an activity to keep kids entertained over holiday break, to a keepsake that your family will enjoy for years to come. 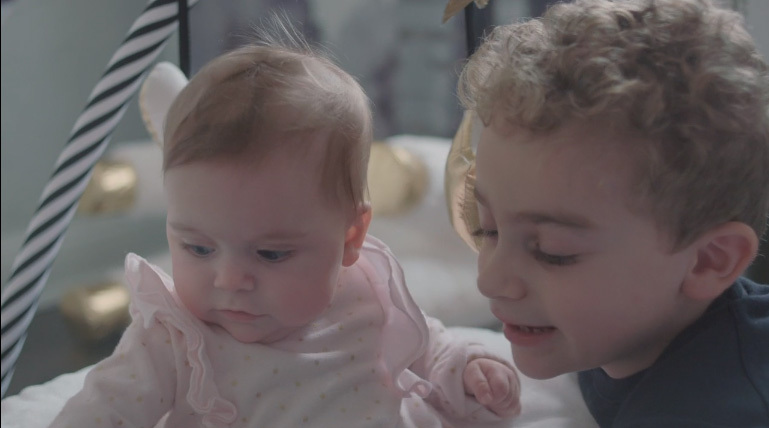 In our experience creating videos for families, you are guaranteed for a treat when you give kids the chance - and the space - to share their stories in any form. Give your loved ones the gift of a Portraits that Move Gift Card. Available in any denomination, up to the full price of a Signature Portrait Video, our gift card makes it easier for families to get their own custom heirloom quality video that documents the treasured moments of their lives right now. Oh, the things kids say! Write down the funniest and most poignant quotes from your kids in the new year in this adorable Kid Quotes Memory Book created by Colorado-based graphic designer Amy Taylor. We love celebrating the things kids say, and we know better than anyone that you absolutely will forget what you don’t document. This is the perfect gift for yourself or for another parent who will appreciate a place to store their kids’ comments, from the whimsical, to the witty, to the wise. Preserve your family’s precious recipes - and the memories that go along with them - in My Family Cookbook. This book give you a place to gather all your favorite recipes, along with the photos and stories that go with them. Invite family members to contribute, or use it as a chance to gather your family and work on creating the cookbook together. This is the perfect gift for new couples, or for young adults heading off to college or starting out in new cities. We love this affordable way to turn your family photos into gallery walls! This is a great project to enjoy putting together as a family. Involve your kids in choosing the photos to print and in creating the gallery wall in your home. Tiles can be moved around easily so it’s a fun, interactive way to tell your family’s story through photography you create. Know a new mom or dad with a good sense of humor about the parenting journey? This book is for them! Write down everything from the crazy advice you got before baby arrived to the epic tantrums in Target because, believe it or not, you don’t want to forget those moments either. It’s all part of your history, and it will make you laugh… eventually. This holiday gift combines two things we love - family games and family memories. The Rememory Game is a fun way to recall family stories and memories and to introduce the next generation to your family’s treasured stories and moments. We’re celebrating YOU and making it easier than ever to share the Portraits that Move experience with your friends and family. Celebrate the season with savings from Portraits that Move. Purchase a $500 gift card for $200 starting Black Friday, through Small Business Saturday, all the way to Cyber Monday! Purchase a gift card for yourself or as a gift for others now through Monday, 11/26, at 11:59 p.m. EST. Use promo code CELEBRATE at checkout or call directly: 917-750-0031. You want your holiday card to be perfect. You want it to celebrate and document your year together as a family, and to share your excitement about each other, and the coming year, with the ones you love. These are great things to want. But they can put some pressure on you when it comes time to rally the family for your holiday card shoot. We suggest you make things as simple as possible. 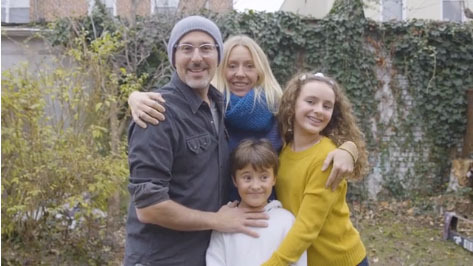 This keeps the holiday card experience stress free for you, and it helps to create an authentic, beautiful portrait of your family as it is right now. With that in mind, here are our three basic tips to prepare for your holiday card shoot this year. Certain colors work better on film and video than others, not because they are on trend, but because they work best with light to bring out your natural beauty. When it comes to colors, choose colors that you like, that you are comfortable in, and that are bold enough to appear on camera the way they appear to the eye in natural light. Just like one of our favorite Back to School tips, make sure that everything you need for your holiday card is laid out the night before the shoot. Once you have agreed on what to wear, make sure that you have it ready to go. Not only does this save time, it frees up your energy on the day of your holiday card video shoot. What is most important for us - and for you - is that we create a holiday card that is as authentically you as it is aesthetically pleasing. Anything and everything you can do to limit stress and keep from feeling rushed heading into the shoot, helps to create the holiday card you want. Clearing out space for your thoughts and your feelings to come through is more important than clearing every surface in your house. Some of our clients ask about how they should stage their home for holiday card shoots and other Portraits that Move video shoots. Our recommendation is always the same. We want to document you and your family in your space in a natural way. There is no need to transform your space to look like the cover photo of Architectural Digest if that is not your family’s aesthetic, or your home's natural state. 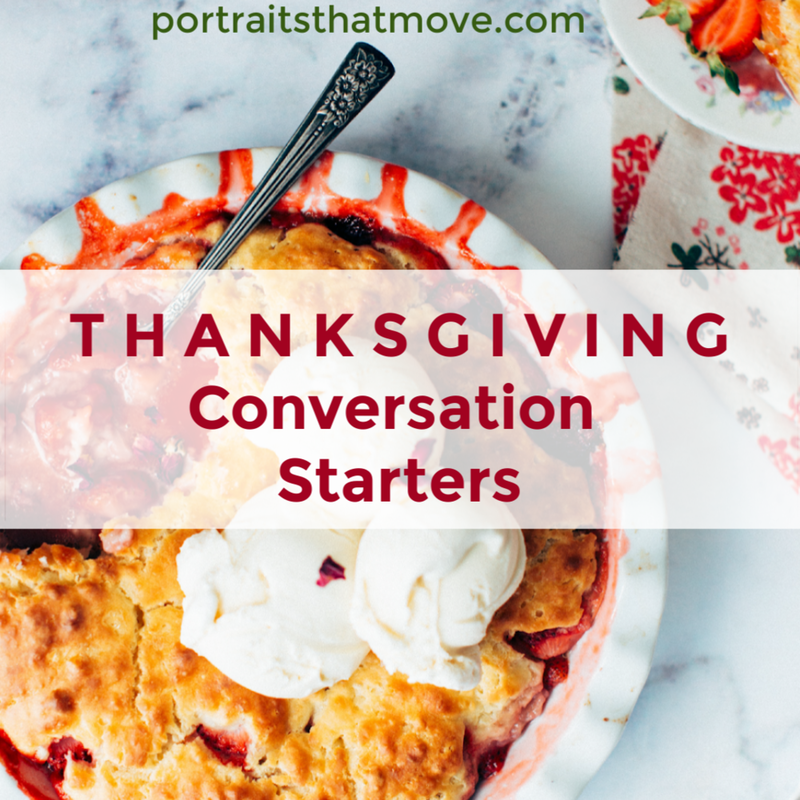 Use the time that you would have spent meticulously staging your space to have a brief conversation with your family about high points of the year, what you are grateful for, and how you feel about your friends and family. This opens up the channels of gratitude and puts you in the mindset you need to create a heart warming, honest holiday card. We do have a few shoot dates still available for your holiday card video shoots. Please contact us to schedule. Enjoy all the moments today with your children. Listen to their stories. Revel in their imaginations. And share their joy. This Halloween we have a special treat for you. Book a holiday card video shoot in NYC for 11/12 (a perfect thing to do with kids on the day off from school!) and save $50. How Can I Make Holiday Cards Easy this Year? Is is just us or is 2018 flying by on the wings of To Do Lists?!? If it’s not one thing, it’s the next, with careers, kids, families, projects, obligations, challenges (we see you, parental burnout). The holiday season is coming up fast, and, if you feel like that brings with it another competing To Do List, you are not alone. After days of planning, you realize you spent all your energy trying to imprint something and all your time packaging it. You have no time to enjoy the cards or the moments they’re supposed to capture. The holiday card that you painstakingly designed, packaged and sent is another item checked off your list. And there are so many more items stacking up. You gave yourself more work and less joy. Your holiday card didn’t preserve a moment from this busy year. It didn’t give you a real sense of who your kids are right now - who they became over the past year. Carve out a few hours, invite us to your home or a favorite neighborhood spot. We’ll talk with you and your kids. 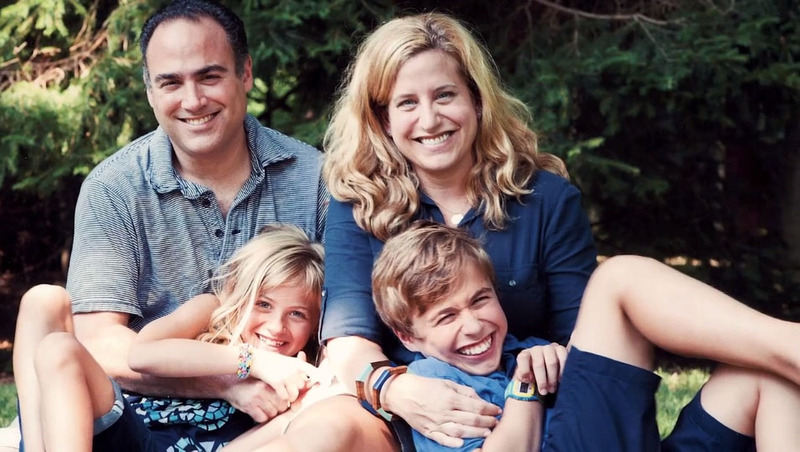 We’ll slow down time for a little while, and in the end, you will have the perfect, moving holiday card video. No stress, no stamps. Ready to share with friends and family, and with each other, when you just need a minute to count your blessings and see how great your life really is (buys-ness and all). Schedule your holiday card video shoot or contact us with questions: 917-750-0031. It’s the season for sports and music and art classes. Back to School is in full swing and kids’ schedules are getting busier and busier. With that, comes more opportunity for good conversations and memorable storytelling that improve kids’ confidence and strengthen your bond. Here’s a rundown of how to create those kinds of conversations, starting with a reminder to carve out time to talk to kids about their experiences, motivations, and emotions. When we are shuffling from activity to activity while trying to meet our own deadlines, finding time and space to have those conversations is hard. Remember, it doesn’t take a long time to have a good conversation. Grab your moments and be intentional. Start by asking these three questions when you pick up your kids from their next soccer practice or orchestra rehearsal. Focus on the positive. 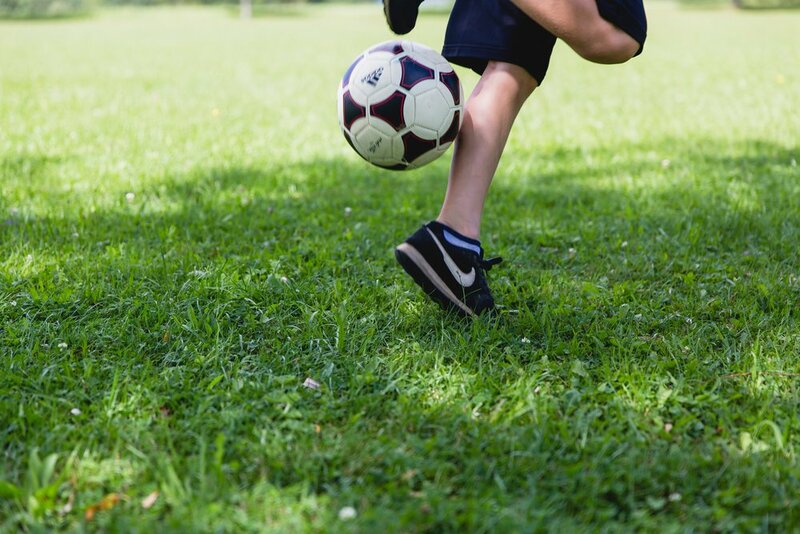 Asking your child to identify the best part of soccer practice encourages her to look for positive experiences, even if (especially if) the practice didn't go as smoothly as she wanted, or didn't live up to her expectations. Taking a moment to assess an experience and find the good in it helps your child practice balance, gratitude and hopefulness. When you encourage your child to do this through conversation, you are helping them through the process and reminding them that they are not alone – you are there with them to celebrate and to support. “What was the best part” is the perfect first question because it gives your child something to celebrate, something good to share with you. It goes a long way to creating a safe, comfortable space for kids to talk to and connect with you. 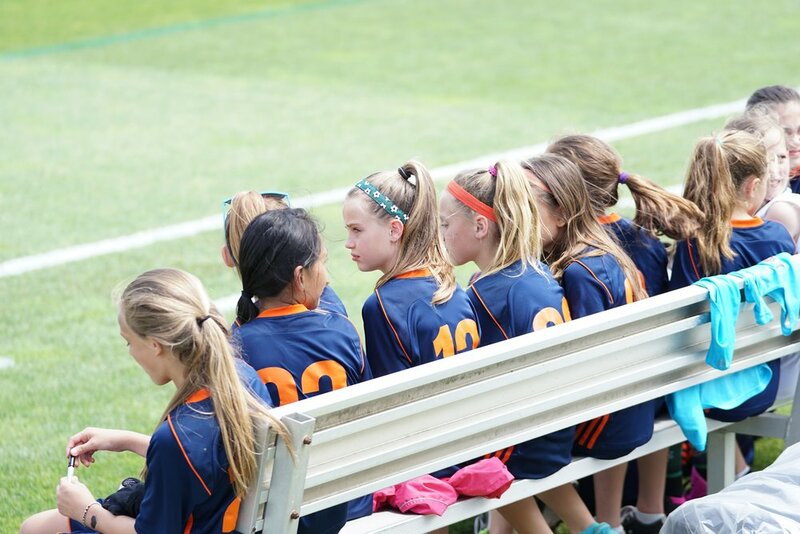 Asking your child to share the best part of orchestra or soccer practice gives them a launch pad for a story and a path for a meaningful conversation. It gives you a glimpse into what matters to them, and what they value. This is the heart of real conversations. And it often makes for a great story! This second question moves into the topics that are more difficult for your kids to talk about, but even more necessary for you to dig into together. Be careful how you frame this question. If kids feel like they are being interrogated or judged, they shut down. Your conversation, your relationship, and their confidence suffer. This doesn't mean that kids don't want to share their challenges with parents - they do - but they want to do so in a way that does not make them feel more judged, or more embarrassed, than they may already feel. Sometimes your child leaves practice feeling vulnerable. If she ran into another player because the coach said "go right" and she went left, she may have been hurt, and she may have been laughed at. Don’t compound her negative feelings about herself or the situation. Let her take the lead in explaining the experience from her point of view and walk through how to address it together, carefully and respectfully. 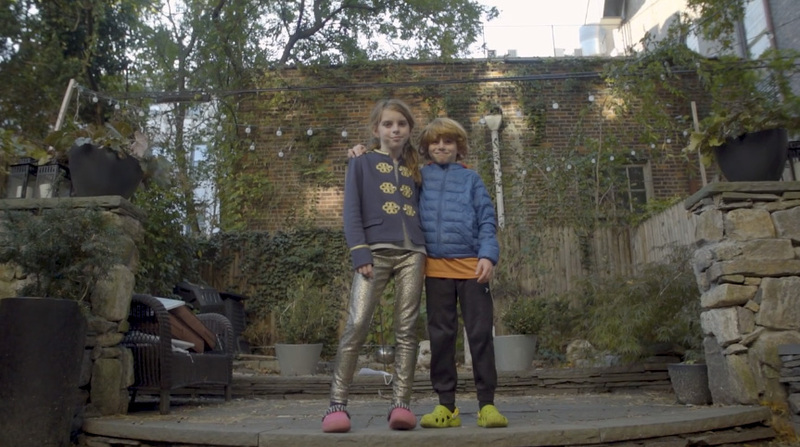 “How do you think you played” creates space for kids to communicate. It signals that you are interested in how they are playing because you care about them, and you care about the things that matter to them. You are not looking for a scouting report. Their answers don’t change how much you love them or how proud of them you are. Everyone wants to get better - that's why they practice. Let your child know that you are not asking these questions because you want to see immediate results. He does not need to master every note in his orchestra piece today. You are engaged in the learning process, warts and all. You are present for their stories and you are ready to help them achieve their goals. It also gives you, as a parent, the opportunity to share your own stories. Kids love to hear about what parents were like when we were their age. If you can share an embarrassing story, or an example of how you faced a challenge, your child feels less alone and more encouraged. Remember, when you are sharing your stories, this is not the time to take over the conversation, to air out old grievances, or to show off. Let your child take the lead. What are you looking forward to next time? Even more importantly, a look-ahead question like this signals to your kids that you are with them for the long haul. You did not start this conversation so that they could deliver you a report that you can file away. You did not ask them to open up to you simply to fill the time on the way home. You are engaged with them and supportive of them. You are in this together. Every question you ask your children is an opening for them to share their stories, to build their confidence, and to strengthen your bond comfortably and safely. This is a busy season. We – parents and kids – too often feel like we are rushing through our lives, never taking time to look back, to look forward, or to be present in the moment with each other. Taking even a small amount of time to have an intentional conversation with each other slows everything down just enough so that we don’t miss these precious moments and we don’t rush through opportunities to connect with each other and celebrate each other. Ask your child these questions. You’ll still make it to your next activity on time. Elizabeth Eames is a professional communicator, a parent, and a member of the Portraits that Move Team.